How do you buy a mattress? Lie down on a couple of options at the store? Pour over reviews and still feel confused about the best option for you? Pick one based on price? None of these are great options and you’ll likely end up with hip, back, or neck pain from sleeping on the wrong surface. What if there was another way? Something you could do to make sure that you end up with the right mattress for you so you could sleep better and wake up with less pain? 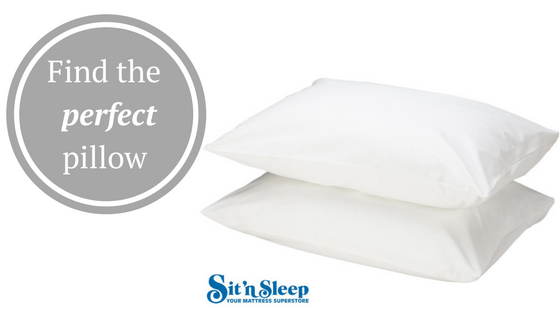 Give the Sit ‘n Sleep patented bedMATCH technology a try! This free online quiz asks you questions about your age, body size, bed partner, and preferred sleeping position to match you to the perfect bed for you and your partner. Best of all; you don’t need to provide any information, not even an email address, to get your results! Why is the right mattress important? You spend up to a third of your day lying on your mattress; not using the correct one could cause pain and even bigger health problems over time. This is because when you fall asleep, your body and muscles are fully relaxed, much more so then when you test out a mattress for a few minutes in the store. If your spine and body aren’t properly aligned during sleep, you’ll be left with aches and pains in the morning when you wake up. The bedMATCH process is super easy! Take the quiz. Go to https://www.sitnsleep.com/bed-match#Quiz and click “Continue” on the bottom of the quiz box. Answer a series of easy questions about yourself (or you and your partner). All of our mattresses are sorted according to these colors, making it very easy to look for the options that best fit with your recommendations. Come visit us. Now that you have your personalized recommendations, it’s time to visit your local Sit ‘n Sleep showroom to test out our bedMATCH machine. It uses 18 statistical measurements and over 1,000 scientific calculations along with the information you provide, to better help you find the mattress with the best postural support and pressure relief for you. Print out and bring along the results from your quiz for even more accurate suggestions. Pick your mattress. Using your results from the questionnaire, our sleep consultants will work with you to find the ideal mattress for your body type. You can try out the different options to find the one that works. The great thing about this quiz is that it is completely cost- and obligation-free. In addition, if you don’t like the recommendations we make, you are the final decision maker. While we provide a scientific recommendation based upon your body and sleep habits, your comfort is a personal thing! You can also ask for a Blended Recommendation if you share a bed with a partner. Do you and your partner struggle with finding a bed that works for both of you? You like a plush and they like extra firm? Maybe you sleep on your stomach and they are a side sleeper? 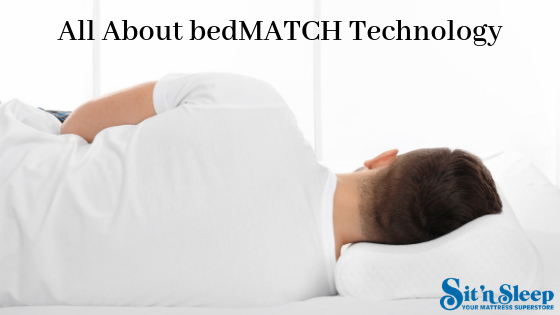 The bedMATCH process will not only give you the ideal selection for your sleep habits, but will also give you a blended recommendation that takes into account both you and your partner’s needs. Just make sure to enter their information into the quiz as well! For even better results, consider also using our pillowMATCH diagnostic system! The system recommends the best pillow for you based upon a specific calculation using the distance between your head and shoulder, preferred sleeping position, and the recommended mattress. If you’re ready to wake up well-rested and refreshed, without any aches and pains in your back, hips, and neck, it may be time for a new mattress. Rather than taking a chance on something that may or may not be the right fit for you, try the bedMATCH difference for yourself. Check out our dealer locator to find the retailer closest to you, or call our Customer Support team at 1-800-800-1353 to speak with one of our incredible team members. Which Pillow is Right for Your Sleep Position?